More than 100 players and 90 umpires from across a dozen leagues in New England completed the 9th annual 100 Innings of Baseball, including Boston Red Sox legend Lou Merloni. 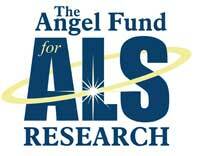 Since the game’s inception, the game has supported ALS and has raised more than $500,000 – with proceeds this year supporting The Angel Fund. Walter Bentson, chief umpire and this year’s event organizer, was diagnosed 11 years ago with ALS – and spent the midnight shirt with his customary half inning behind the dish. Appropriately, Team Walter defeated Team Bentson, 90-80, in 100 innings, after overcoming a 22-run deficit earlier in the in the 3-straight-hour affair. Walter Bentson enters to umpire at midnight, what has now become tradition at the 100 Innings of Baseball game. Mike Pollak makes the introductions. Album #1 or Album #2.